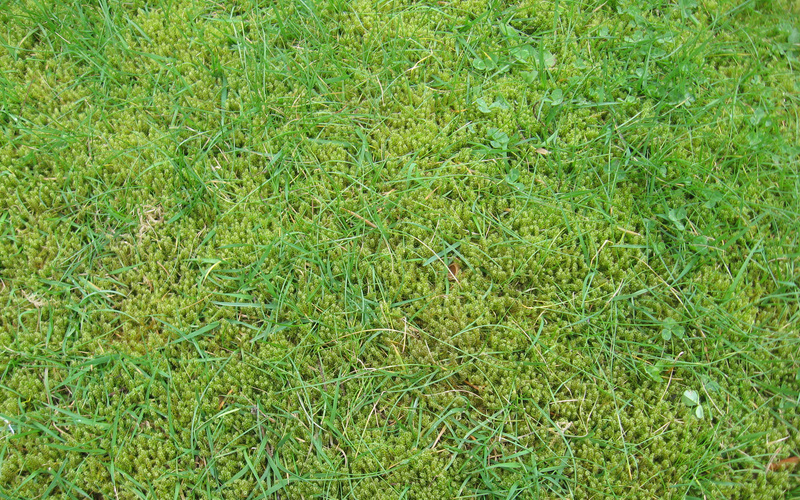 This week we are focusing on lawn moss! This is probably one of the most common issues we hear about from our clients. To remove it or not to remove it, that becomes the ever present question. Let’s start, like we normally do, with why the moss is there to begin with. 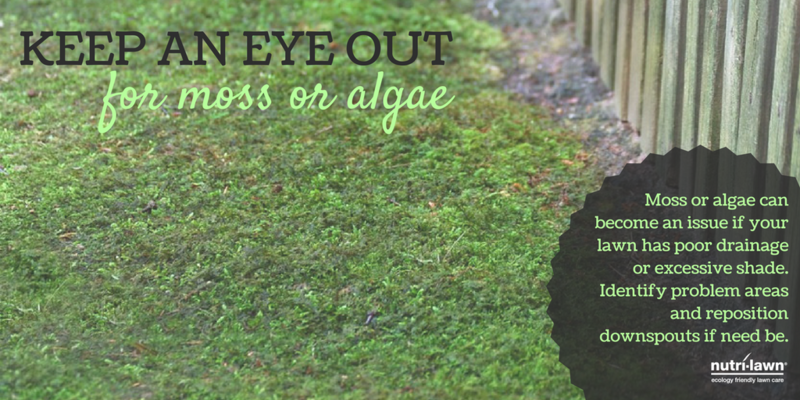 Very similarly when we spoke last week about weeds, the presence of moss in your lawn is typically a sign that there are some unhealthy issues going on. In order to rid your lawn of the moss completely, we need to address and correct the things that are causing all the headache in the first place. So, our first culprit is too much shade on the lawn. We can define “too much shade” by a lawn that receives less than 4 hours of full sun per day. Grass has a few basic needs and one of them is sunlight. The rays from the sun are changed into energy by the grass and used to grow and stay healthy (remember photosynthesis from high school?). When we cover the lawn in shade, the grass just isn’t able to sustain its’ health properly. The only way that we can fix this specific issue is by trimming back any tree or shrub cover that is causing all the shade. Another reason that you may (or probably) have moss in your lawn is due to an acidic soil base. This one is a bit tougher to combat as we get a lot of rain here in the Lower Mainland. You see, moss loves an acidic soil environment where grass likes things more neutral. Your experts at Nutri-Lawn Vancouver recommend having 2 applications of our pH Balance product per year - optimally done during our wettest times of the year (spring and fall). An interesting fact about moss is, like weeds, moss can and usually does grow in areas of low fertility. So if your soil isn’t getting enough nutrients in it, this is another leading reason for moss to be present. Nutri-Lawn Vancouver has you covered here too! Ask us today about our slow-release fertilizer designed and specially blended to give your lawn what it needs, when it needs it! No more guesswork! Moss also grows really well in wet soils. So if you are noticing that water often is left standing on your lawn to the point where the soil stays moist or wet, this is a perfect environment for growing moss! There are a few things you can do to help your lawn out here, the first being proper watering. Making sure that you get 1” in depth of watering every 5-7 days is the job 1(check out our video here). Next, make sure that when you are watering it isn’t at night. The sun helps the lawn out by trying to dry any left over water on the lawn. No sun means no help here. If this does not correct the issue, then you may need to get some assistance from a Drainage Expert. Lastly, a lawn will not grow well in soil that is compacted. This will prevent air flow, nutrients and water from reaching the areas that matter (the roots)! When the soil environment is not healthy, it will invite all kinds of other plants that take advantage of these unhealthy areas and take root. 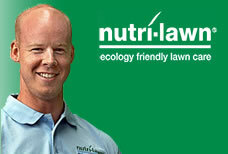 Nutri-Lawn Vancouver recommends at least one Core Aeration each and every year! Your team at Nutri-Lawn also has a secret weapon when it comes to removing moss from your lawn! We call it a Moss Shock! When we combine that with a Power Rake, your lawn is virtually moss free and ready to instill some health to make sure that it does not return. Call us today and schedule your Moss Shock application! Stay Tuned for more helpful tips from your Local Team at Nutri-Lawn Vancouver! Or, chat with us, email us, or call us at (604)524-4770! We’re always happy to help! Until next time! !